Nothing says you've made it more that getting an invite to an exclusive party. So naturally, being able to design some of those invitations means we're half way there! We've been lucky enough to work with some of the worlds finest (and funnest) clients and thrilled to be a part of their creative force. Putting together a perfect first impression is more that just a click and print. We work with our clients to figure out the perfect layout and final product. 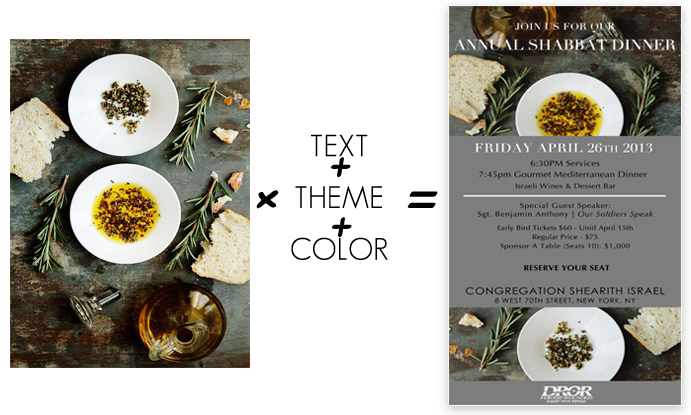 It takes color & text composition, theme fluidity and an eye catching centerpiece to achieve that striking and classic look.